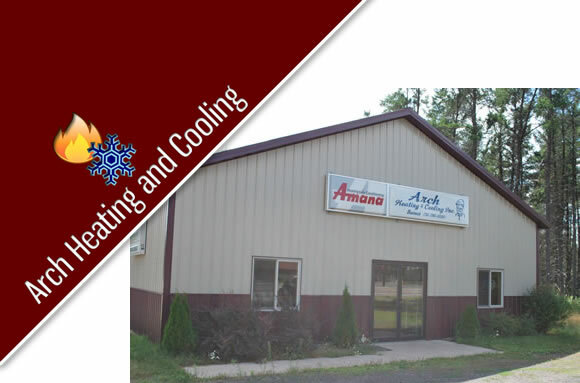 Home > Places > Wisconsin > Solon Springs > Services > Arch Heating and Cooling, Inc.
Service is a large part of our job. We can service any brand of furnace or boiler and we offer emergency service. We stock parts for most brands and can order parts for anything. We also service manufactured homes, air exchangers, make-up air units, water heaters, wall furnaces and space heaters. As many of the homeowners in our area are not permanent residents, we are more than happy to service your heating or A/C system even if you are not in town. Simply call and make arrangements with our office manager.